Most days, my prayer time looks more like sitting and waiting upon God than an extravagant spiritual encounter. I sit there and ponder, asking Him what He wants me to do, wondering who He wants me to be. In response, God has never sent me a sudden lightning bolt nor an angel from heaven. I have never been publicly and miraculously healed by a mere touch or word from Jesus like many were in the gospels. Instead, in those moments, I choose to open His Word. Sometimes, what I read speaks exactly to what I’m going through and what I’m feeling. But then there are times when God’s Word seems ancient and far-removed. I feel left wondering the importance of what I’m reading, asking Him the purpose behind the details that seem irrelevant. Yet it is through these everyday conversations with God that I know Him as Father. I can ask Him what I do not understand. I can trust Him to lead me with His Word even when I don’t get it right away. I know that when I’m scared I can ask Him to protect me and to surround me with His angels. And God has shown Himself to be faithful in the little things—kept me safe when I was scared, comforted me when I was hurting, sent His Son to die for my sins when I was without hope. He provided me with everything I needed, not always what I expected or wanted in the moment, but everything I needed for my soul to be safe in Him. 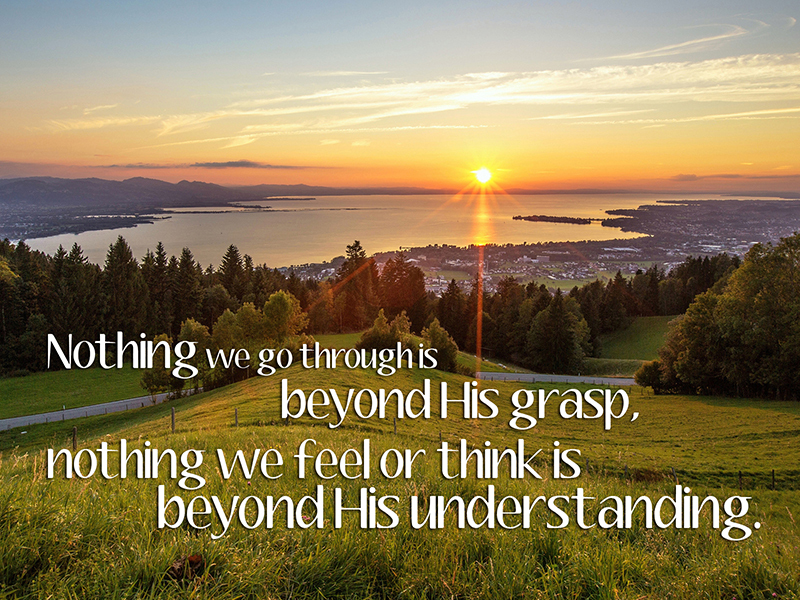 Nothing we go through is beyond His grasp, nothing we feel or think is beyond His understanding. If He made us, how could we move, think and breathe apart from Him? His nearness is what gives us life each day, but I’m reminded that His nearness is only made possible through the gift of His Son Jesus Christ, who was willing to be forsaken by the Father so that God would draw near to us. Have you ever had a time where you felt like the Lord was near? What thinking patterns keep you from experiencing God’s nearness in everyday life?